Two NSW Government Ministers have been requested to urgently intervene and stop the imminent destruction of Koala habitat in Boambee State Forest, near Coffs Harbour. The North Coast Environment Council has written to the Minister for the Environment Robyn Parker and Minister for Primary Industry Katrina Hodgkinson requesting their urgent intervention to halt the logging of the core koala habitat. 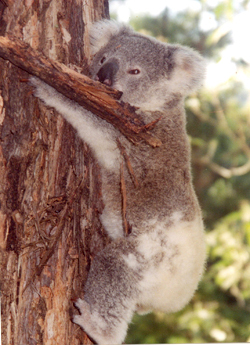 The call to the Ministers is consistent with the Coalition’s recent election policy to improve the conservation of Koalas, the NSW Koala Recovery Plan 2008 and the Integrated Forestry Operations Approval covering Forests NSW operations. NCEC spokesperson Susie Russell said the measures announced last week by Forests NSW to assess Koalas in Boambee SF are their standard prescriptions for state forests on the North Coast. “The standard prescriptions have proved themselves repeatedly to be inadequate leading to the widespread destruction of Koala habitat,” Ms Russell said. “The limited Koala search and observe protocols do not account for periods when koalas are moving throughout the landscape, as they are now,” said Ashley Love from the Coffs Harbour-Bellingen National Parks Association. “The standard prescriptions do not take account of the strategic importance of core areas like Boambee State Forest to the conservation and replenishment of regional populations,” he said. The Coalition were elected in March this year with an promise, backed by additional funding of $103m, for improving Koala conservation. Commitments were made by Coalition spokespersons during the election campaign to improve Koala conservation measures on Crown Land. Environment Minister Ms Parker is being requested to activate the NSW Koala Recovery Plan 2008 and ensure Forests NSW cooperate in exchanging information and working across boundaries. Action 1.24 of The NSW Koala Recovery Plan requires Forests NSW to contribute to a plan that covers cross-tenure landscapes. Ms Hodgkinson is being asked by the North Coast Environment Council to instruct Forests NSW to prepare a local Koala Management Plan before harvesting operations commence in Boambee SF. “The Threatened Species provisions of the Integrated Forestry Operations Approval (IFOA) which covers Forests NSW operations provides for the implementation of local koala management plans prepared with the approval of the Office of Environment and Heritage. Just as in the nearby Pine Creek State Forest logging operations are required to comply with a local Koala Management Plan. “The IFOA states that Forests NSW should initiate and maintain Community dialogue about Koalas at an early stage in harvest planning. The IFOA states that the dialogue should as a minimum include contact and exchange of information with neighbours, and local animal welfare and conservation groups. The North Coast Environment Council is not aware of the required consultation being carried out. We know of no local conservation groups that have been consulted,” she said. “Unfortunately, Forests NSW have a poor record of co-operation in Koala management in the Coffs Harbour area. 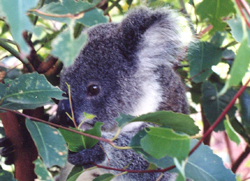 “In the early 1990’s Forests NSW refused to participate with Coffs Harbour Council and the then National Parks and Wildlife Service in preparing the first Council Koala Plan of Management. As a result the 42% of the Council area then covered by State Forests was left blank, devoid of any koala conservation strategies in the plan.